1 hotel with a sea view is waiting for you in Batz-sur-Mer. 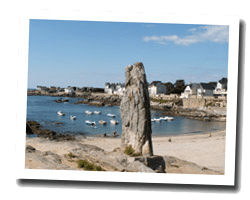 Located in the center of the Guérande Peninsula, Batz-sur-Mer is a village dedicated to salt harvesting. The beautiful rocky coastline facing the ocean is called the "wild coast". There are south-facing sandy beaches and pretty coves on the Wild Coast. Beach Saint Michel is the most picturesque, the largest is Valentin beach. 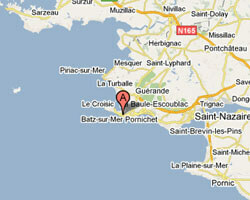 In Batz-sur-Mer enjoy the pleasure of a sea view hotel.